Taste test: These are excellent vinegar chips. Lots of vinegar zing to them, very tasty and crunchy. 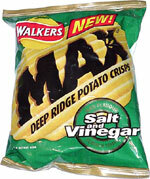 The ridges are medium-wide, and the chips are fairly thick. 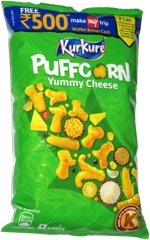 And best of all, there were quite a few chips crammed into this small bag. Smell test: Good vinegar smell.